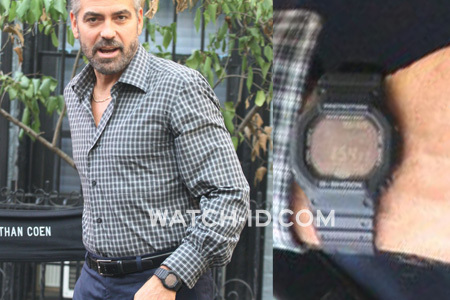 George Clooney wears a Casio G-Shock GW-5600BJ in the movie Burn After Reading. Usually George Clooney wears an Omega watch in films, due to his obligations as a brand ambassador for Omega. 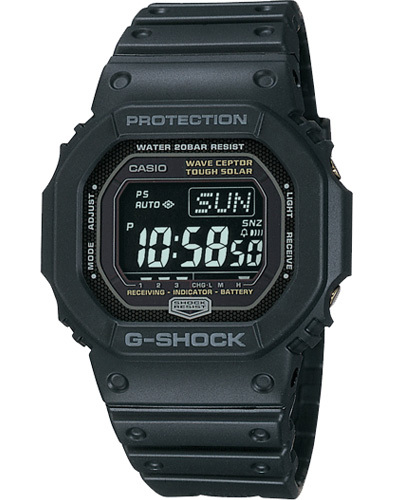 This Casio G-Shock has a negative display, and features Tough Solar (powered by sunlight), Wave Ceptor (always the right time via a connection with atomic clocks) and the usual date, timer and stopwatch. This model is not produced anymore but you can find it on eBay for around $220.